Hamilton Litestat’s new showroom and meeting room facilities at Cannon Green in the City of London are now open for business, located on Bush Lane, EC4R 0AA in the heart of the ‘Square Mile’, just a short walk from Cannon Street Station. 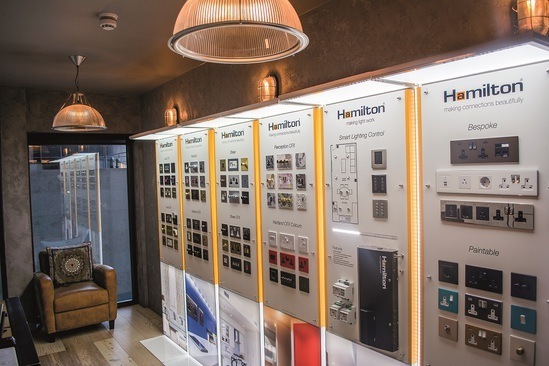 The new offices feature a showcase of Hamilton’s decorative wiring accessories in a range of plate designs and finishes, from plastic through to glass and wood, along with its selection of on-trend bronze and metallic finishes. 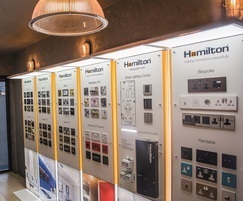 There is also the opportunity to see a working demonstration of Hamilton’s smart lighting control and audio solution, which appeals to the tech-savvy homeowner, as well as providing added luxury to the hotel guest experience.